Hi everyone! 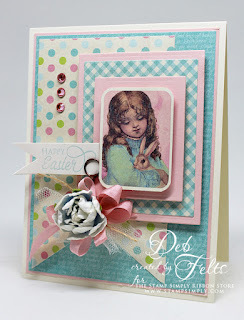 I'm here today with a clean and simple card that was put together with a couple of punches and a few quick embellishments. Gotta love it when the colors coordinate and it comes together so easily! 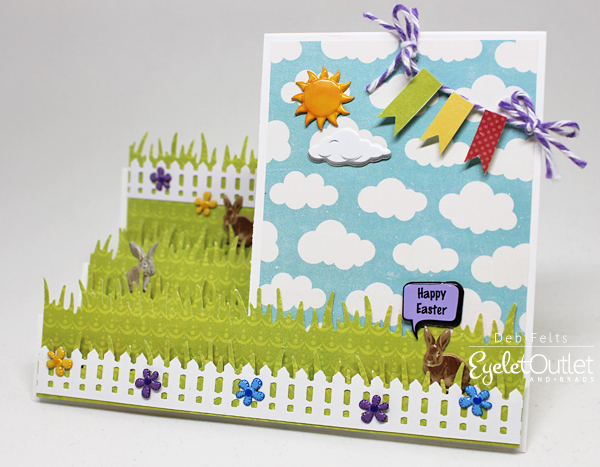 Some Easter washi tape forms a border beneath a punched garden of flowers accented with enamel dot centers. 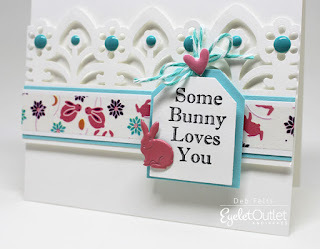 A pastel rabbit brad and an enamel heart on the (also punched) sentiment tag add another pop of color to the uncluttered, bright white background. 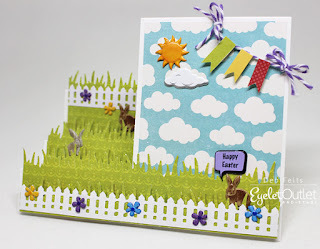 A fast, fun card for Easter, or for any lovely Spring day, for that matter! I just love bees! I'm always drawn to images of bees and honey, partly because Deborah means "bee" and partly because bees are simply amazing and honey is so delicious. I knew, when I saw this print from Graphic 45 and this scripture stamp from Stamp Simply that I had to make a card combining the two. For the floral cluster, I stamped and die-cut some little flowers from Altenew's Mini Blossoms set, then stamped and fussy-cut a bee from Graphic 45's A Time to Flourish. 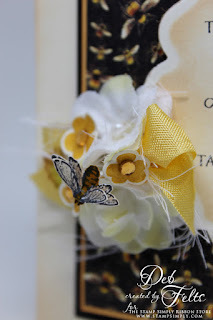 I attached each one to a bit of jeweler's wire with a glue dot and tucked them between a couple of paper flowers, adding some snips of cheesecloth to fill in the gaps. I love how wispy and natural it turned out. 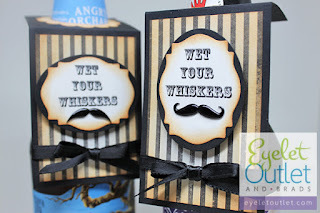 New stamps and supplies are SO inspiring! 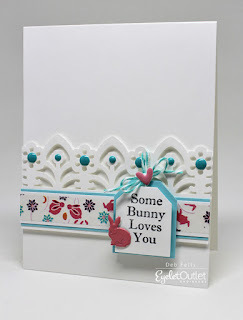 I am having the best time playing with the goodies from Stamp Simply! It was a gray, windy day, and these pretty pastel papers from Authentique were just the ticket! 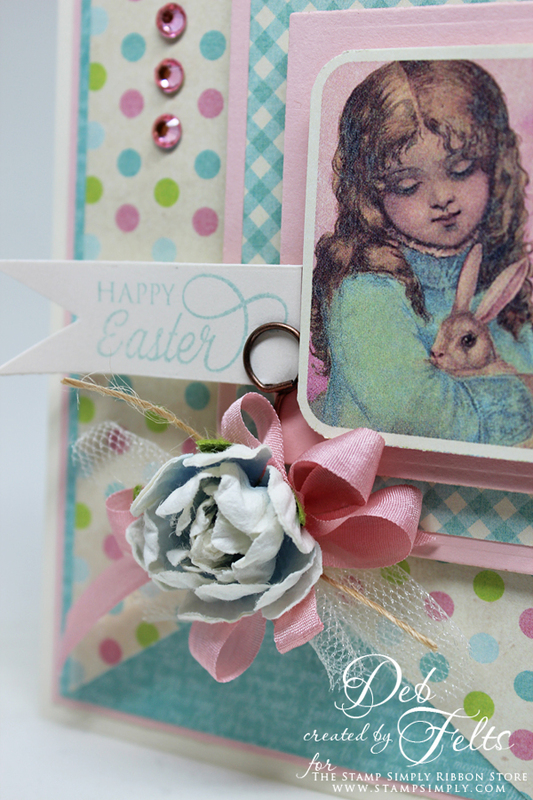 One of the sheets included small rectangular vintage images, so I cut them apart and used one as the focal image for an Easter card. The sentiment banner is held in place with a Tim Holtz memo pin, which is stuck into a flower embellished with soft pink silk ribbon, ivory tulle, and some jute thread. I love how dainty it all turned out! Hi everyone! I hope you had a great Valentine's Day yesterday! Today I'm skipping right over the next holiday or two (at least for now!) 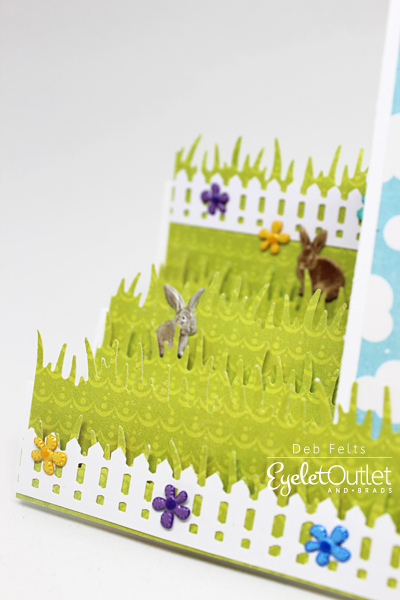 and bringing you a little Easter scene on a side-step card. The three tiers of the card are great for building a 3-dimensional diorama, while the larger side panel gives a bit more space to work in. This fold is lots of fun and really easy to put together. I used decorative papers and two border punches to create a blooming tiered garden for some cute little bunny rabbit brads. Mini flower brads peek through the picket fence, and the sun shines from behind the clouds. Even the sentiment is an Easter bubble brad so this card required no stamping whatsoever. We've got less than a week until Mardi Gras, about a month until St. Patrick's Day, and more than 8 weeks until Easter, so now's a good time to make your shopping list and get organized for the upcoming holidays! Plan ahead so you don't end up in a pinch! 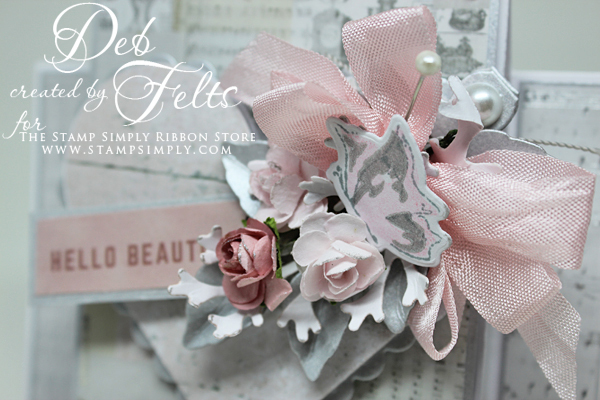 I'm so very excited to share that I am joining the Stamp Simply design team! Dream come true! I have always admired the amazing creativity of Sharon and her team, and I am beyond thrilled to get to play alongside them using beautiful products from the Stamp Simply shop. I've known most of the ladies on the team for ages and have even gotten to meet Sharon, Deb, and Heidi in person. Holly and I go waaaaay back to our Challenge Chaser days on Splitcoaststampers. I'm looking forward to getting to know Sheri and Darsie. It's so nice to be brand new and yet already feel so right at home! Sharon sent the most amazing box of stamps and supplies, and when I first opened it, I immediately fell in love with this gorgeous Kaisercraft designer paper. I decided to make a center step card that would showcase several of the lovely coordinating prints in this pad. Photographs just do NOT do it justice! It was impossible to capture the sheen of those silver foil notes and the soft, feminine colors. They're perfect for Valentine's Day (the pad even has some punch-outs with Valentine sentiments) but would be beautiful for a wedding, or for any elegant occasion, even if it's just to say hello! 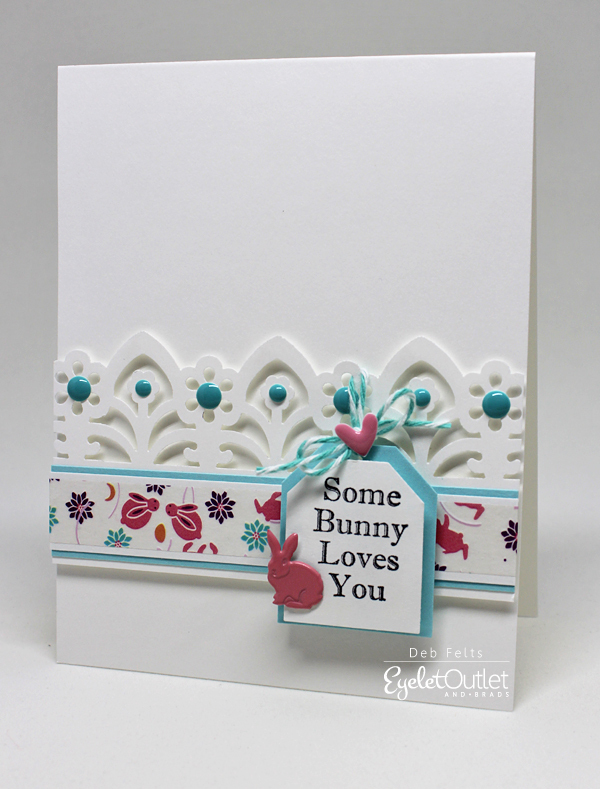 The focal point of the card is a die-cut heart which hinges open to reveal a sentiment inside. The heart is embellished with a "corsage" of leaves and flowers and a fluttering butterfly. This project was such a pleasure to create and is one that I'll probably have a hard time parting with! How many of you are avid football fans, ready for the BIG game tomorrow?! We're much more into college football than pro, although we will definitely watch the game, as much for the commercials as for the football! We usually keep our game day menu very simple...hot wings with lots of extra hot sauce, beer (hard cider for us gluten-free folks, and water too), pretzels, a veggie platter and some cookies. I decided to make a few game day bottle neck tags printed with an Old West, Texas saloon-style font and accented with skinny ribbon "bow ties." I kept them super simple (when you're making multiples, less is more, right?! 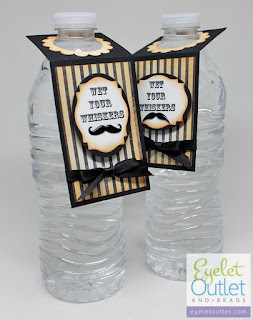 ), left them short so the bottle labels aren't covered and so they won't get wet and soggy when the bottles are partially submerged in ice. 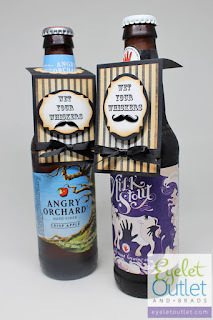 These are just a little something fun for the game without the complication of team colors and all that! 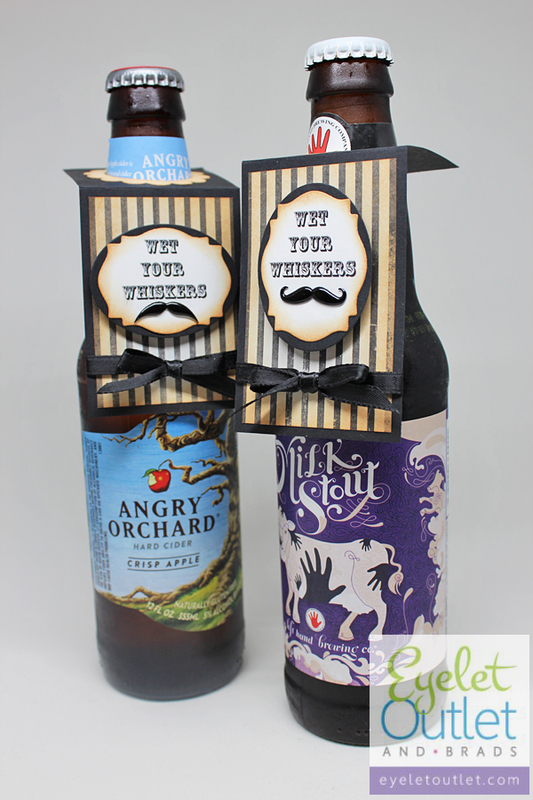 They'd also make cute birthday, bachelor party or wedding favors. With all of our cute embellishments, it would be easy to change 'em up to fit a theme for the girls, too. Enjoy the game! I'm hoping for some great commercials and a close score! For once I don't really care that much who wins!